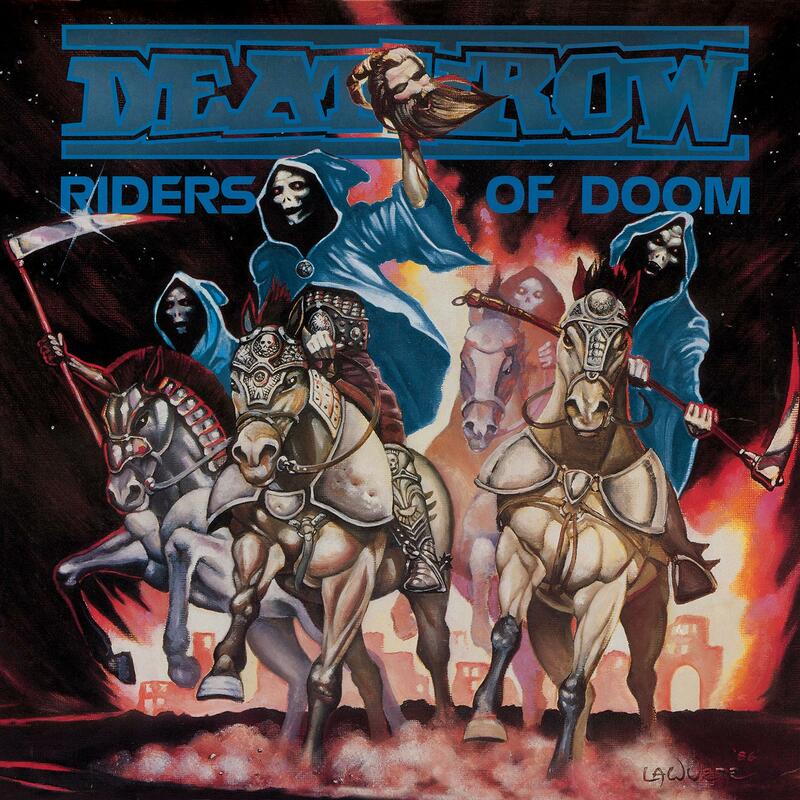 Deathrow - "Riders Of Doom"
Deathrow’s debut album, Riders of Doom was originally released in 1986 and was an instant cult classic in the flourishing thrash metal scene. It’s nine tracks, mainly culled from their early demos, are raw and unpolished and like their other German contemporaries Kreator and Sodom was a statement of intent with its thrashing rage. There was also a fledgling technicality hinted at, that would be developed as the bands career moved on but Riders Of Doom remains a firm fan favourite, despite being out of print for nearly three decades.